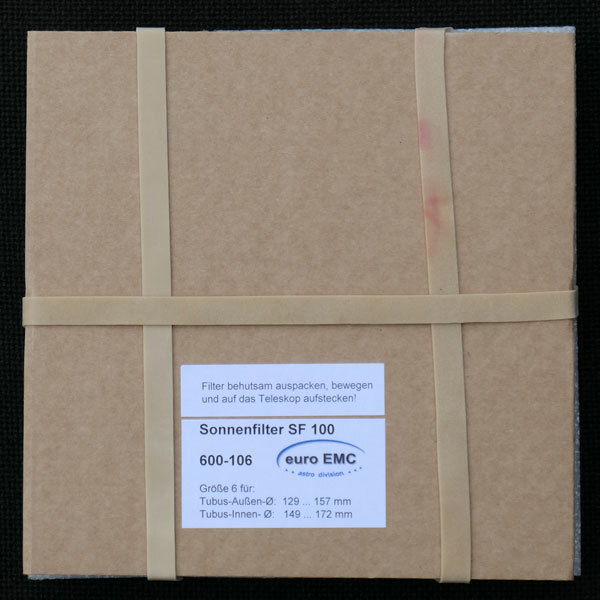 In order to also be able to observe the sun, I acquired a euro EMC solar filter for my Sky-Watcher Skymax-127 tube, namely the type SF100 filter (order no. 600-106, size 6: for tubes with a diameter from 129 to 157 mm, aperture = 120 mm). These filters utilize the Baader Planetarium Astro Solar film of density 5 (ND5), which is suitable for both visual observation and projection photography. 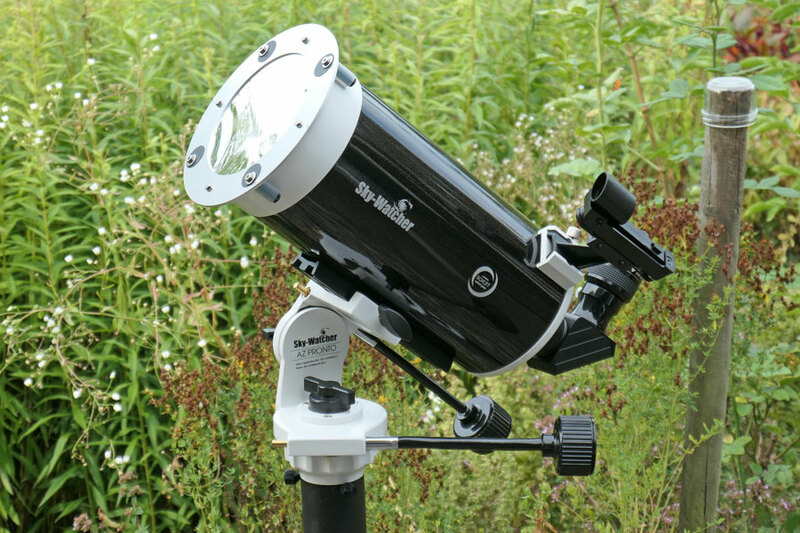 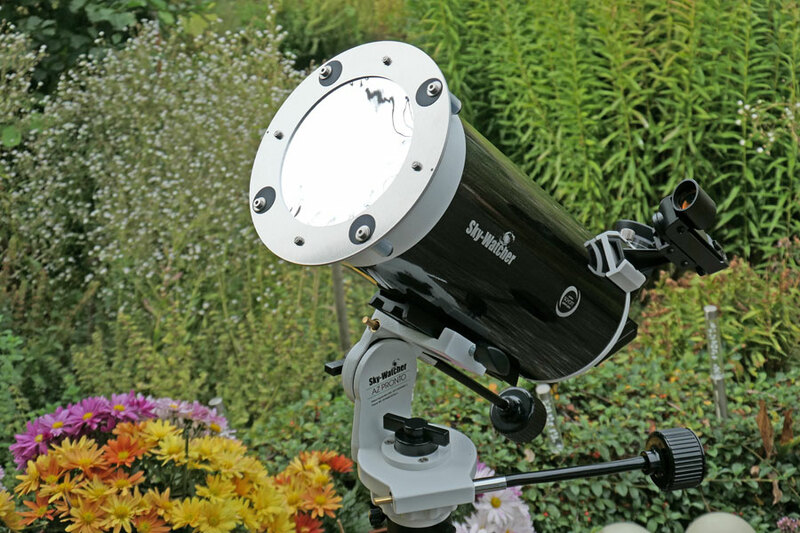 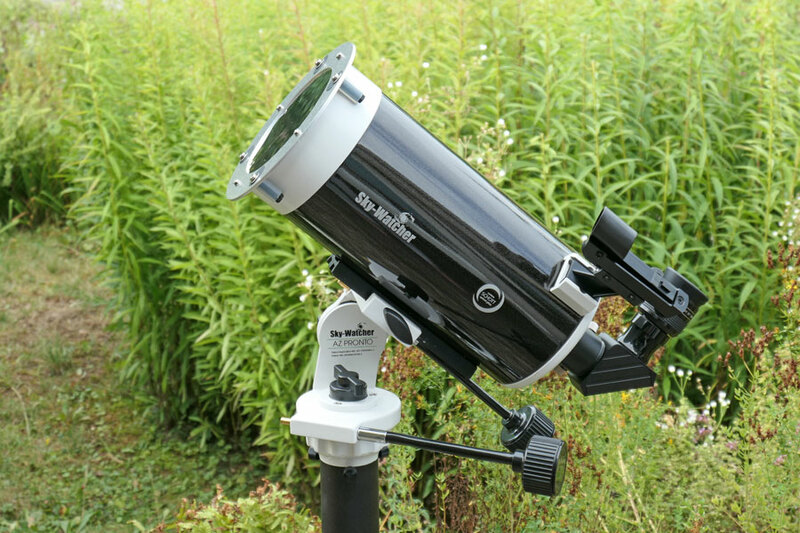 Note: See also pages Solar Filter for the Heritage 100P and 114P and Skymax-102 OTA, Solar Filter for the GSD 680, Solar Filter for the Explorer 150PDS, and Mercury Transit 2016. 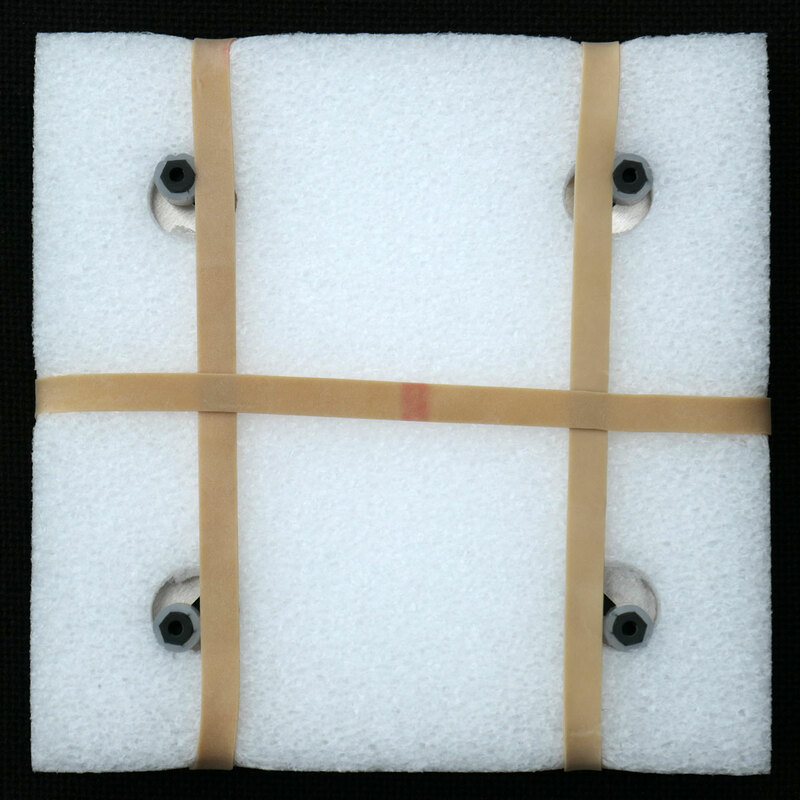 The filter comes with a small Allen wrench to tighten the filter holders. 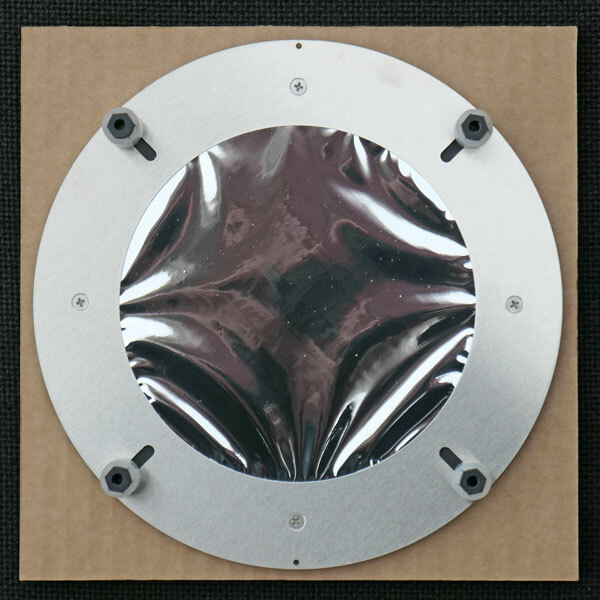 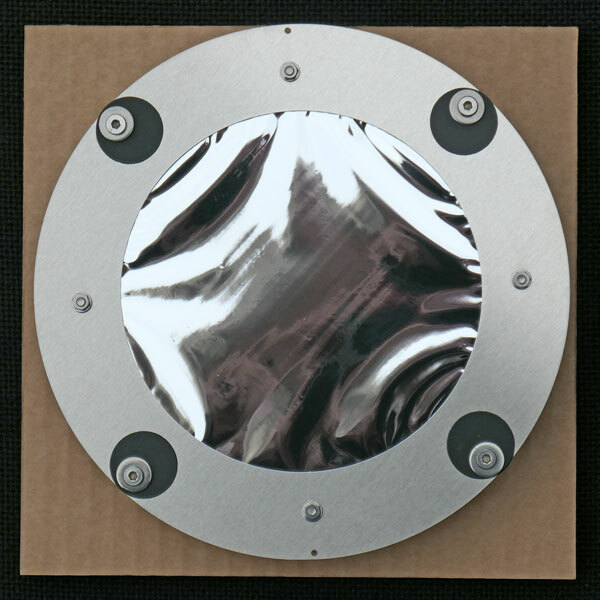 It must be noted that the disc-shaped sun visors have to fit properly, so that no sunlight can penetrate through any slots. 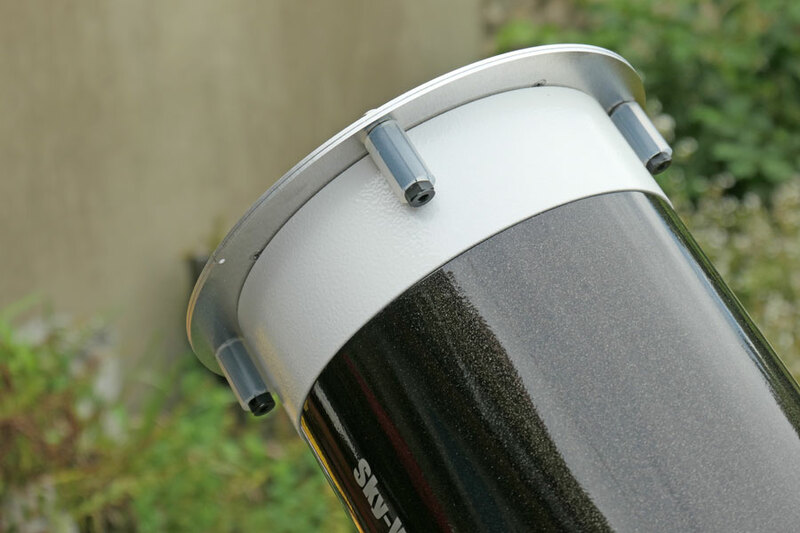 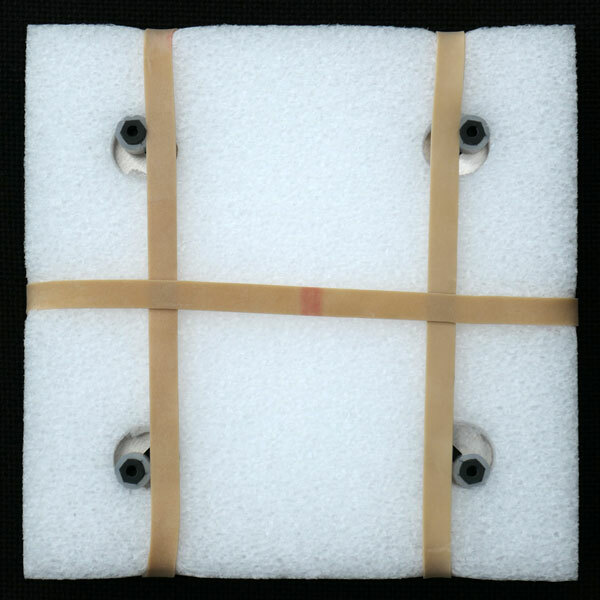 The filter has to be carefully mounted to the telescope, so that the film will not be dented by any airlocks.